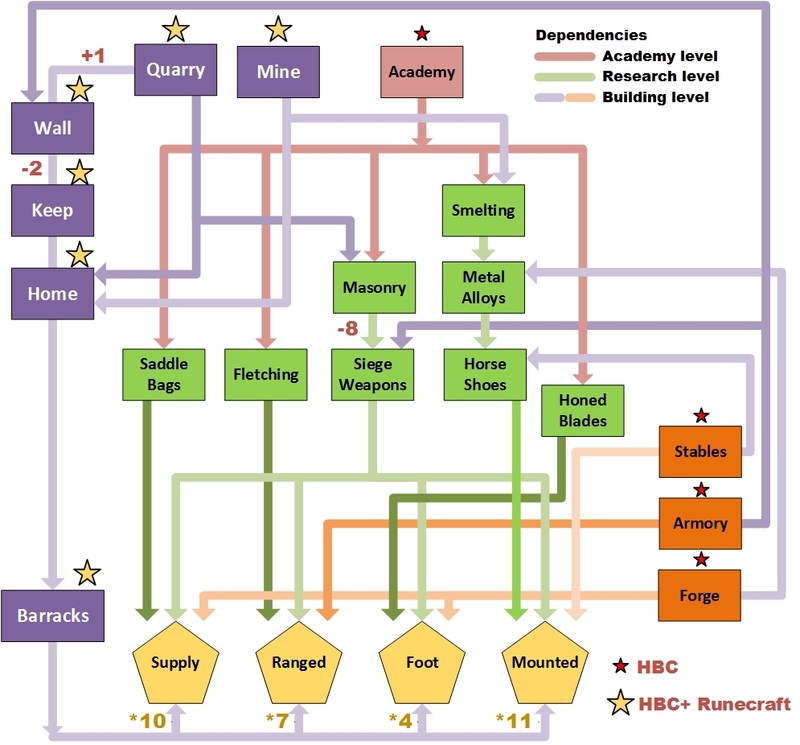 In light of Tier 4 troops now being almost completely available for training (just waiting for Ranged troops atm), I thought it would be handy for those that do not train them yet, to chart which buildings and researches you have to upgrade to train them. It’s gonna take a lot of time to get there, and once there, the troops also train hella slow, but here goes. The below chart lists all building and research dependencies. Red stars denote lvl 10 buildings, yellow stars runecrafting. Red numbers denote allowed differences in level. 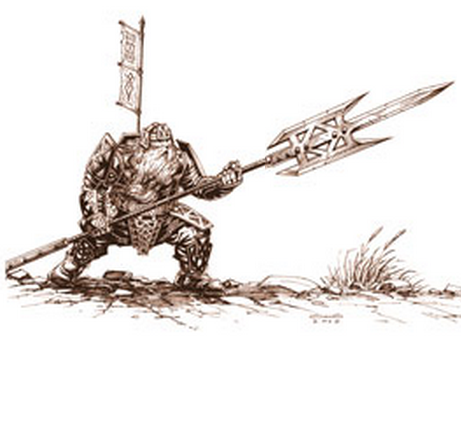 For example, Masonry needs to be at level 2 to research level 10 Siege Weapons. These numbers might change during leveling up, but this is what I saw at the time of writing. No clue, but I hope it helps some of you in deciding which buildings to spend HBC’s on…Good luck! This entry was posted in Articles, City building, War and troops and tagged academy, ascension rune, barracks, construction, kingdoms of middle earth, runecrafting, runes, tier, tier 4, training, troop, troops by beardmonkey. Bookmark the permalink. Does this option come up after everything is upgraded? Or t 4 is no longer available unless it’s a prize? no you can still train them, but you will not see the option to trian them if your barracks isnt leveled up. Once Barracks is runecrafted, you’ll see a new tabe under Training that reads ‘Advanced’, under which T4 can be found. could anyone translate the chart? How do yu get HRC? My world, 167, doesn’t have runecrafting so it is hard to follow the chart since I don’t know how to runecraft. thats too bad. Just wait until it is released in the future. It is pretty simple, like with normal building. If you want to upgrade Keep to lvl 6, you need Wall lvl 4. If you want keep lvl 9, you need Wall lvl 7. So for keep, the requirement becomes Wall+2. Same with runecrafting, only the dependencies and numbers are changed around a bit. Like with the Musterfield. You can construct it to lvl 10 from the start, but to runecraft it you suddenly also need Quarry and Mine at the right level….Understand?